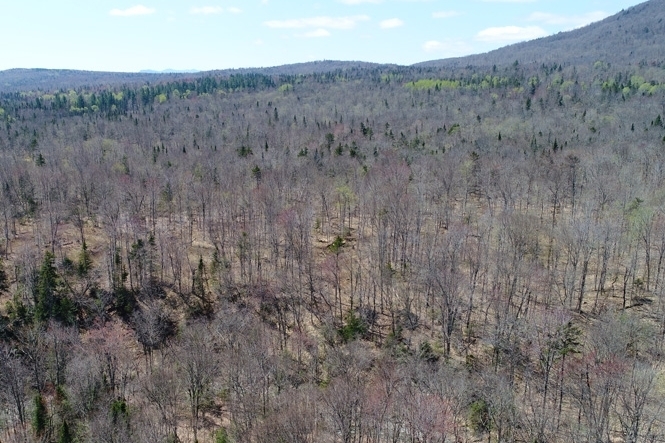 Eden Square Forest is a long-term timber and/or immediate sugarbush opportunity with attractive species composition, productive soils, secure access and excellent potential for asset appreciation from the timber resource. Average tap/acre of 47 with many areas holding 80-100 taps/acre. 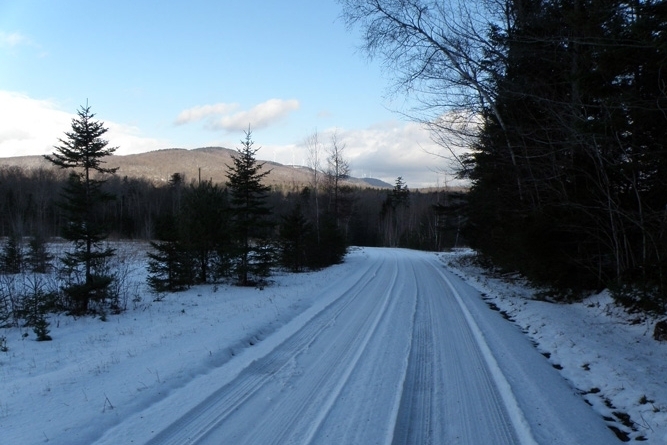 The forest lies in the northern Vermont town of Eden, along the east side of the Lowell Mountain Range. This is a mountainous, rural area populated by small hamlets, working forests and scattered homesteads. Locally, along Square Road, there are only three homes with the last residence hosting a local business, Eden Ethical Dogsledding and Lodge. The small town of Eden is situated 4 miles to the west along Route 100, where Lake Eden is a local landmark attracting many summer residents. 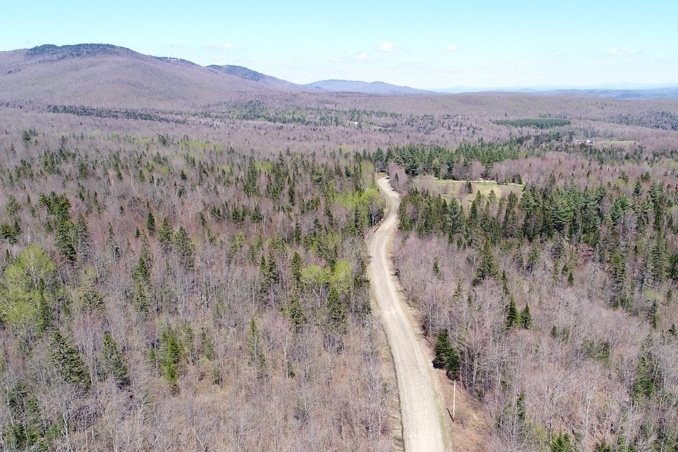 Route 100 is the main transportation corridor through the area, offering ideal access to regional and cross-border forest product manufacturing facilities. This north-south route provides access to Newport, (26 miles to the north) and Morrisville (17 miles to the south), the largest two communities in the region. Montreal, Quebec is 90 miles to the north, while Boston is 3.75 hours to the southeast. The property offers excellent access from multiple points, providing comprehensive access for all future forest management activities. Two segments of frontage (1,870’ and 535’) exist along the town-maintained portion of Square Road where electric power is available. 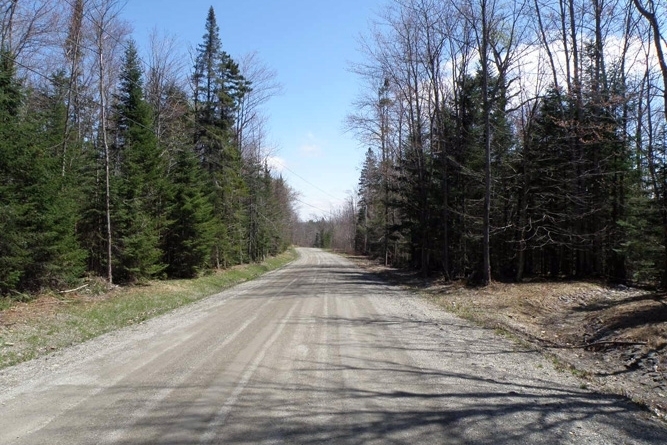 Both frontage segments have established driveways with a 1,900’ winter road heading westerly into the land per the property maps. Access is also provided by ±500’ of frontage along Albany Road (not maintained in the winter), where a small field exists on the west side of the road. This field is likely the best option for a sugarhouse location option due to sapflow direction. Beyond this point, a right-of-way provides truck access to the land’s northern basin. Additional access along Collinsville Road (±1,535’ of frontage, not maintained in the winter) gives access to the eastern end of the property. The property’s terrain is variable with moderate to steep slopes occupying most of the land west of Square Road. 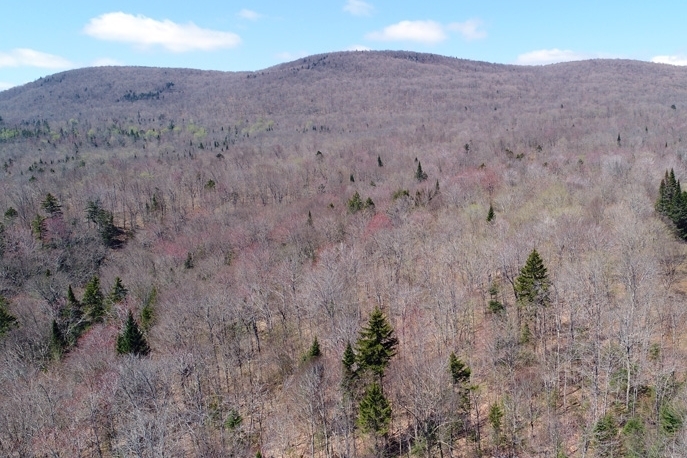 Once the terrain begins to rise, soils become well drained and host the property’s greatest concentration of maple, and highest potential for sugarbush opportunity. Soil drainage is often not optimal on the more level terrain on each side of Square Road. In these areas, the best maple (and timber in general) occupies scattered, patchy higher ground conditions. A more mixed species composition, with a higher percentage of softwoods, increases toward the drainages. Generally, conditions for forest operations are very good, with the exception of some steep slopes leading to the top of Lowell Range. 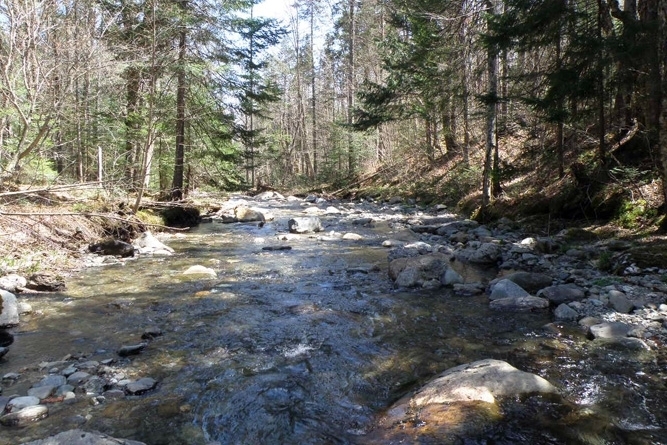 All of the streams that run through the land originate nearby from the top of the watershed and thus run low during dry summer months. The exception is the Wild Branch River which runs through the eastern edge of the property. 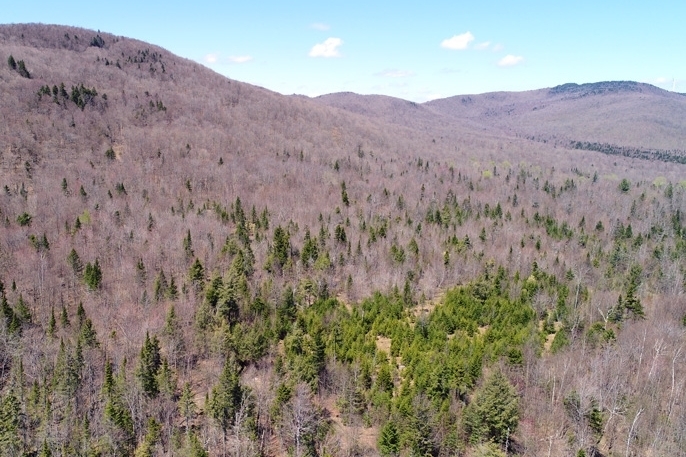 Elevation ranges from 2,314’ along the ridgeline of the Lowell Mountain Range to 1,218’ in the southeast section of the land near the Wild Branch River. Timber data in this report are based on a monumented and comprehensive timber inventory conducted in May 2016 by the ownership’s forest consultant. 381 inventory points were sampled (1 plot per 4.1 commercial acres), covering a 420’ x 420’ grid and using a 15-factor prism. Sampling statistics are ±8.3% standard error for sawlog products and ±5.6% for all cordwood products at the 95% confidence interval, figures well within industry standards. After applying growth for 2016, 2017 and 2018 using regional FIA data averages, the timber data reveals a total sawlog volume of 5,788 MBF International ¼” scale (3.7 MBF/commercial acre) with 25,512 pulpwood cords (16.2 cords/commercial acre). Combined total commercial per acre volume is 23.6 cords, modestly above the regional average. Stumpage values were assigned to the volumes in August of 2018, producing a property-wide Capital Timber Value (CTV) of $1,531,100 ($961/total acre). A species composition dominated by hardwoods prevails, with hardwoods at 93% and softwoods at 7% of total volume. Species composition for all products combined offers a favorable mix and is led by sugar maple (46%), followed by yellow birch (22%), red maple (8%), American beech (7%), white ash (6%) and spruce/fir (6%), with other common hardwoods and softwoods comprising the balance. The sawlog volume breakdown consists largely of sugar maple (49%) and yellow birch (23%). 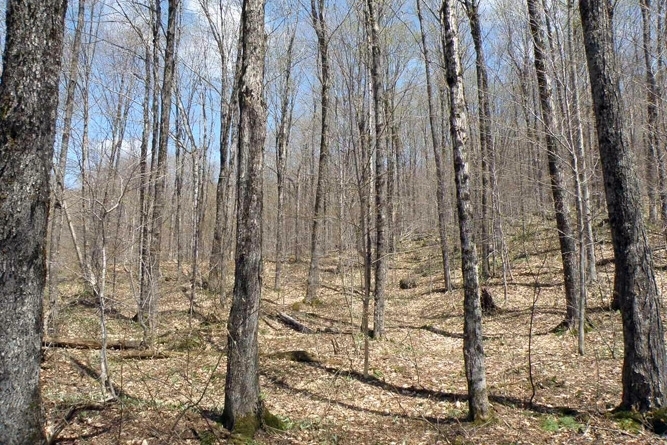 This species composition is well suited to a long-term timber investment and/or sugarbush, with solid markets regionally and into Quebec for the products growing on the land. The relatively low beech component is the result of active forest management occurring over 20 years. Average diameter for the three main species are: sugar maple 13.0”, yellow birch 13.5”, and white ash 14.0”. 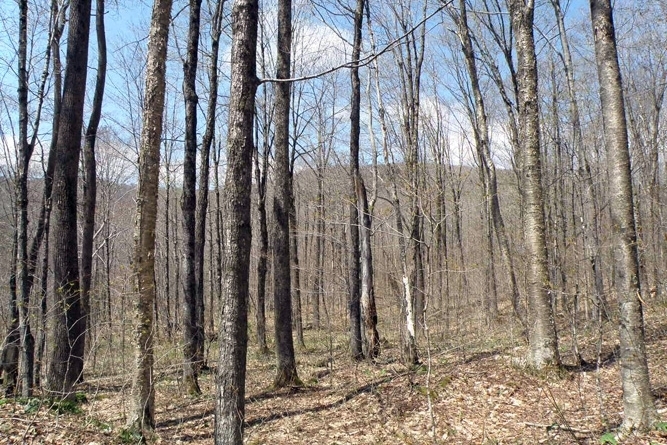 The property offers an exceptional potential sugarbush opportunity, given the high maple stocking, slope factor, access and proximity to electric power. The timber data indicate a total potential tap count of 74,477 taps, with roughly 85% of the taps from sugar maple and the balance from red maple. 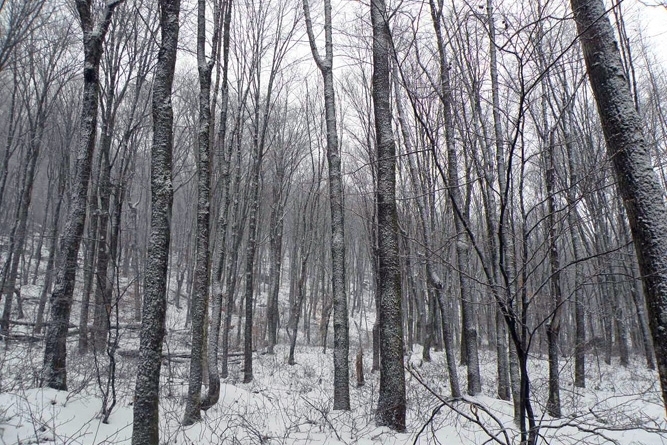 Trees 9” and greater were considered, providing an average of 47 taps/acre, covering the property’s commercial acres. One camp structure of 800 square feet is permitted.